Not too long ago Fashion koma has made its debut into menswear and we are here, as promised perking into something a little bit juicy and perhaps quite helpful when it comes to lovely gents are wearing in everyday life, on the streets, to work, to dates, to lunches or dinner. It’s time to look into men’s street styles right from winter fashion week, as snapped by the amazing and super talented men. If you are looking into catwalk shows and styles, in order to spot next season’s winter fashion trends and know what to shop and what to wear, many appear a bit too far off Fashion Koma is throwing you gents some hints. Now that summer’s pretty much been and gone and sale rails have been picked over, this is the time to start getting excited for the new season to come. There is no question about, everyone is excited welcoming the new season and defiantly equipped. With harsher weather on the horizon, we turn our attention to the major autumn/winter 2015 trends and break down what’s worth spending on to brave the elements while looking bang on trend. The Shearling Effect: Chalk it up to the 1970s revival or pin it on 2015s rugged masculinity, but shearling is far and away the biggest trend for autumn/winter 2015. Thus, this is very interesting to note that individuals tend to dress in a way that reveals their personality and values. Keep it in check: Now even the savvy shortlist can find himself stumped when it comes to styling all over busy prints and patterns. But this winter fashion season, some designers are suggesting a more accessible take on visual impact, swapping digital prints for subtle checks. Keep Rolling: Rakishly elegant, supremely comfortable and extremely easy to dress up and down, this simple piece of knitwear is arguably the hardest worker in your wardrobe. Graphic Knitwear: Show your statement sweatshirt the door, gentlemen- it’s time to get acquainted with an all-new line up of punchy knits. 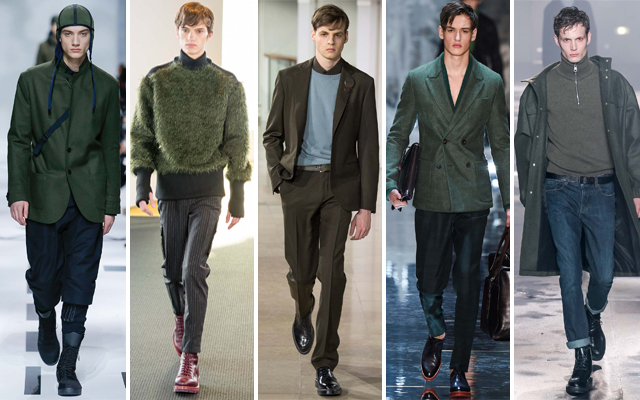 Leg room: This is our final trend, judging by designer’s offerings- set to make serious waves this season. Furthermore, these simple tips will help you to keep up-to-date with all the latest winter fashions and have you looking your best this winter. Previous story The Best Fruit Tart Recipe!